With the backing of our dexterous of dedicated executives, we are actively committed in providing an inclusive variety of Plastic Jugs. Reviewed on an array of norms, we offer these products in a variety of provisions at inexpensive rates. - Product Weight: 35 gram..
- Product Size: 8 x 6 x 11.5cm. 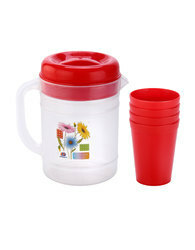 Our product array comprises of Designer Plastic Jug with Glasses. These are known for their appealing looks. 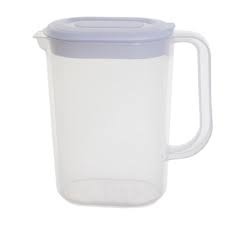 We are engaged in manufacturing of plastic jug which help to serve better.